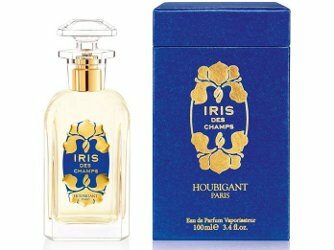 Houbigant Paris will launch Iris des Champs, a new fragrance. It is the brand's first launch since 2012's Orangers en Fleurs. Discover Iris des Champs, the newest addition to our fragrance collection. Close your eyes and take a walk with us in a blossoming field of irises, in the Tuscany countryside, on a beautiful spring day. Houbigant Iris des Champs will be available in 100 ml Eau de Parfum. 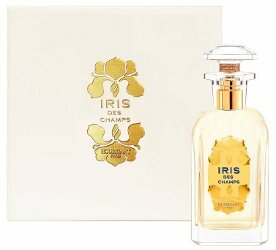 Update: the notes for Iris des Champs include bergamot, lily of the valley, pink pepper, iris, rose, jasmine, ylang-ylang, sandalwood, ambergris, woods, vanilla and musk. It was developed by perfumer Mathieu Nardin, and is also available in 100 ml Extrait de Parfum (shown below). Sounds promising, I did really like that orange one. Hope it’s good…love that bottle. They did a good job, I like it too and the box. Really enjoy Orangers en Fleurs. Hope they did something to improve the el cheapo plastic cap! They really did a good job with Oranger, so I’m very curious to try this, since iris tends to be my favorite note. I’m really looking forward to this one. Orangers en Fleurs was so pretty except the drydown did not agree with my skin.